Students need to follow a timetable or a schedule for studying. 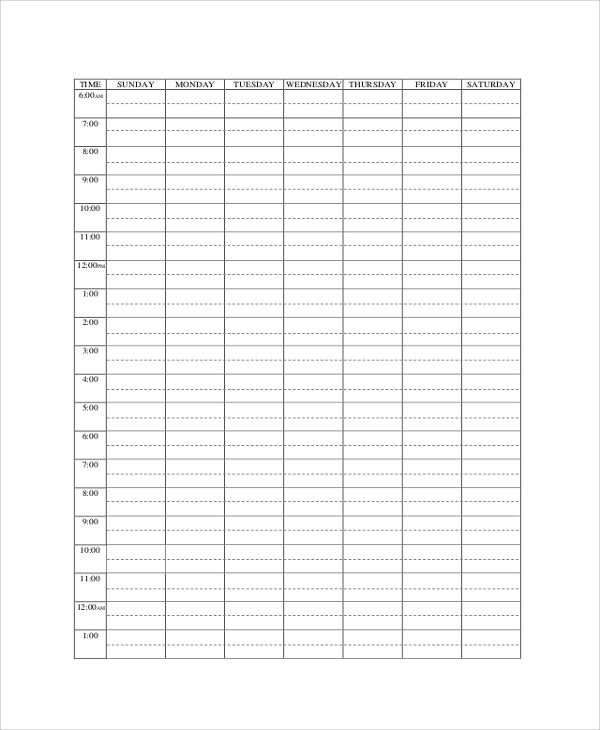 Following a timetable or schedule helps them to make use of the time in a better way. Teachers suggest following timetable to students during examinations. However, this process of studying can be followed throughout the year. 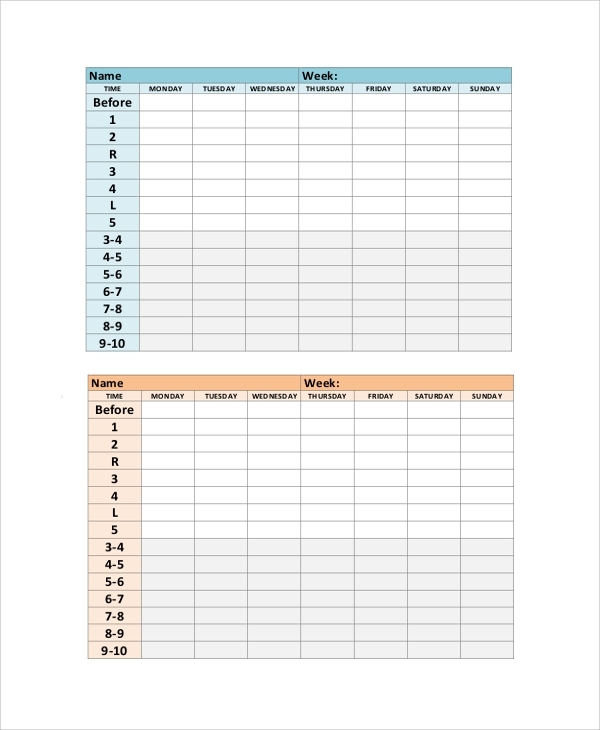 To organize your studying sessions at home, you need to create a perfect timetable. 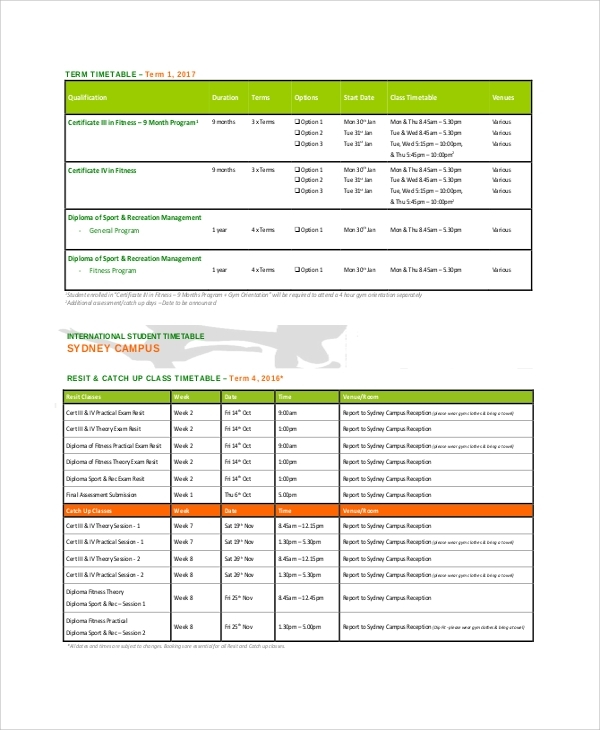 To create a perfect timetable, you can consider downloading Daily Timetable Samples. Using samples for online study planner helps students to stay organized with their studies. Studying timetable can be crafted in different formats. It can be hourly based or day based or even weekly based. This is a weekly based studying timetable format for you. Although we follow a fixed schedule or routine for studying at school, for studying at home, students often stay unorganized. 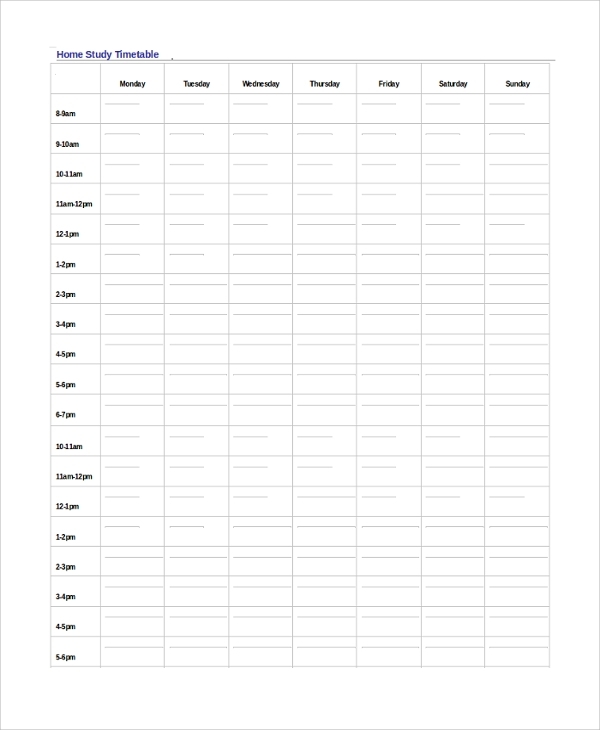 Create your timetable for studying at home and make better use of time. Examination time is really crucial for every student. This is the time when you need to organize your studying schedules so that all the studied chapters can be revised well. 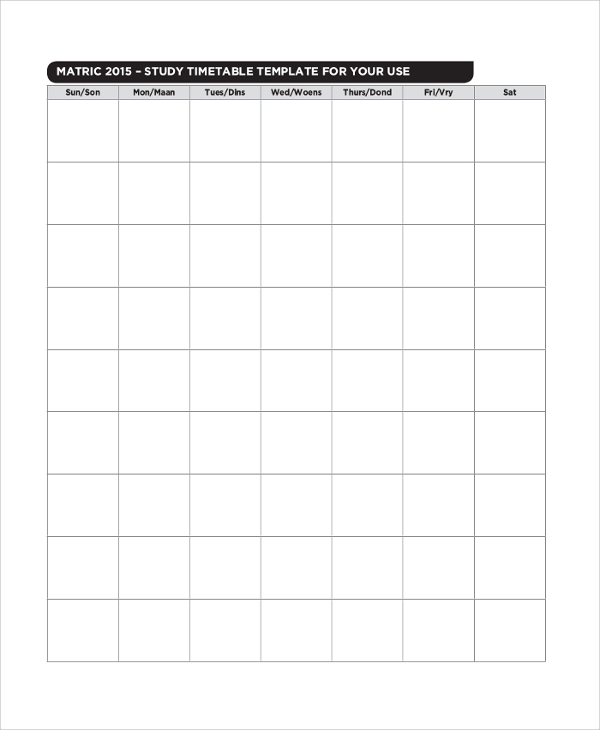 Create an exam time timetable with this sample. The process of learning should be systematic, and this is why schools give stress on creating studying sessions or schedules for the students. Though we follow schedules or routines for studying at school, we often stay unorganized at home. We do not maintain any studying schedule at home, and as a result, we fail to miss important deadlines or assignment submission dates. Moreover, preparations during examination remain incomplete as we do not follow study timetables or schedules. This is why creating a timetable or schedule for studying at home is important for every student. It helps in learning better with efficient time management as well. Who should use Study Timetable Samples? We all understand the importance of having timetables for studying, but we tend to ignore creating a timetable for studying at home. One of the main reasons for failing to create a timetable at home is the lack of knowledge or expertise in creating a timetable. In fact, it is not at all easy to craft a timetable. Different kinds of timetables could be there, starting from Weekly Timetables and ending to hourly studying timetables. You need to understand your requirement first. 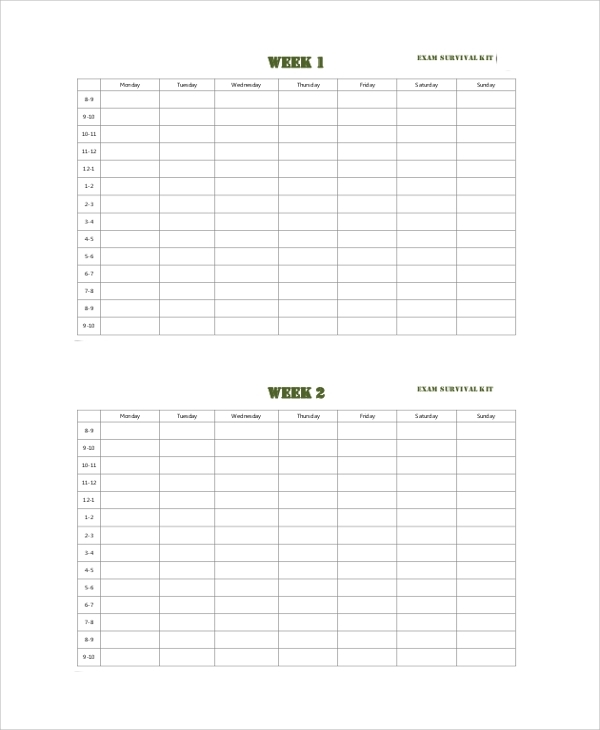 Once you know the need for creating a timetable, you can follow some online samples to craft your own timetable. You can easily download these samples. 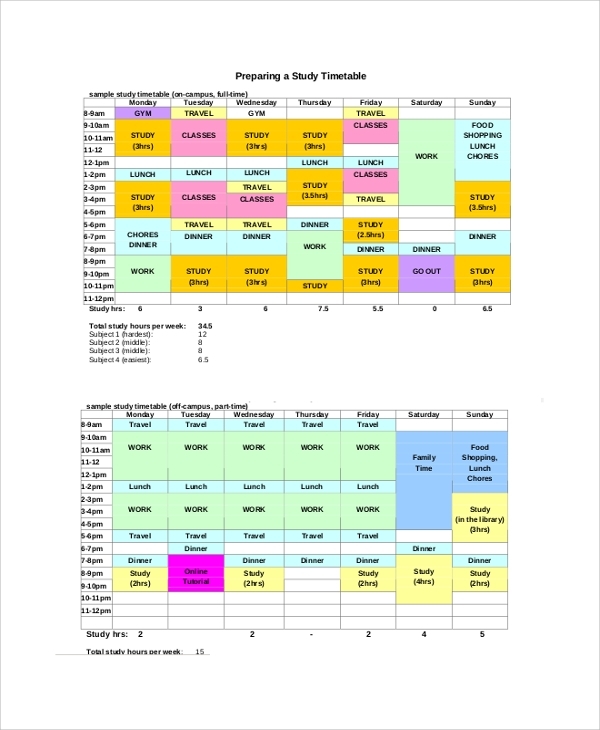 Using timetable for studying is always beneficial as it helps you to follow a proper schedule for studying. Following the right schedule helps prepare better for the next examination. Moreover, due to better time management, you will get enough free time for your hobbies or other entertainment stuff. 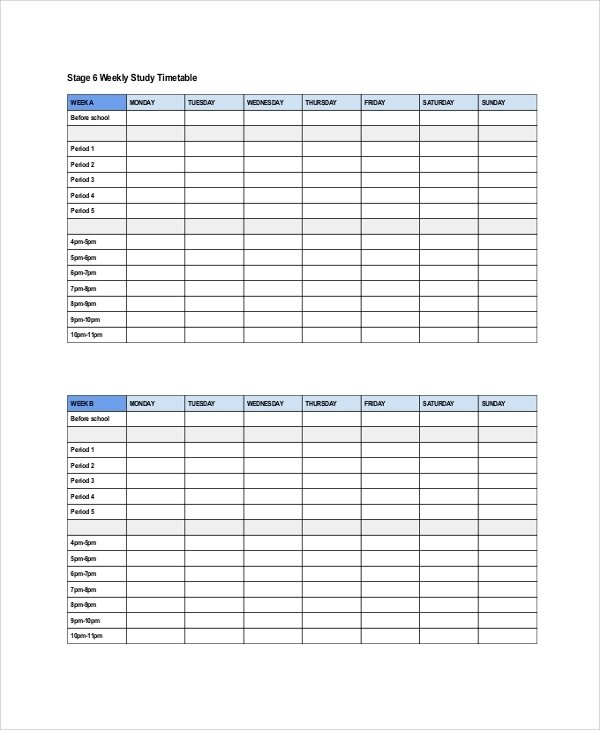 Creating a study timetable is a difficult job, and you have to be careful with its format. Formats of the Sample Timetables vary, as per needs and convenience of the students. The best way of creating a timetable is downloading online samples. Online samples or templates will save your time and make the final output useful as well as accurate. If you are failing to manage or organize your studying sessions at home properly, then using revision timetable for studying is recommended to you. Timetable can be created before examinations for revising the important chapters of books. They can also be created to follow a strict and proper schedule so that more time on studying can be given.